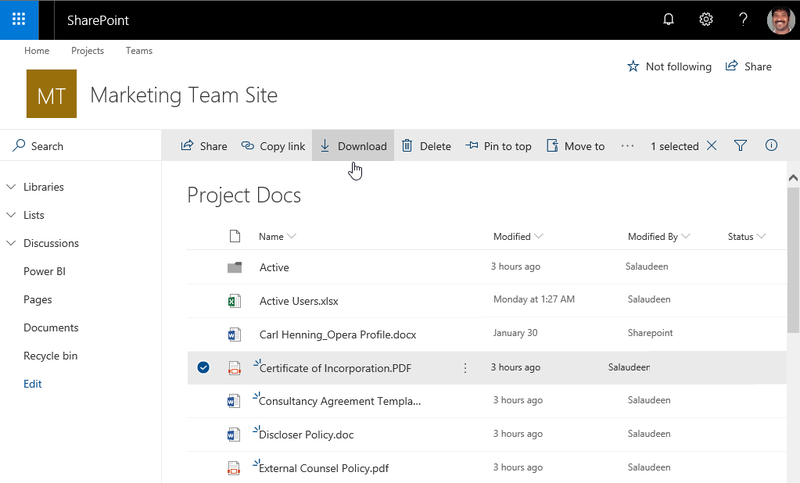 How to Download File from SharePoint Online Library? Right click on the file and select "Download" option from the context menu. This gets you the "Save" prompt and the file gets saved in your client machine's Downloads directory. In Modern Libraries, You can simply select the file(s) or folder and hit "Download" button from the toolbar. 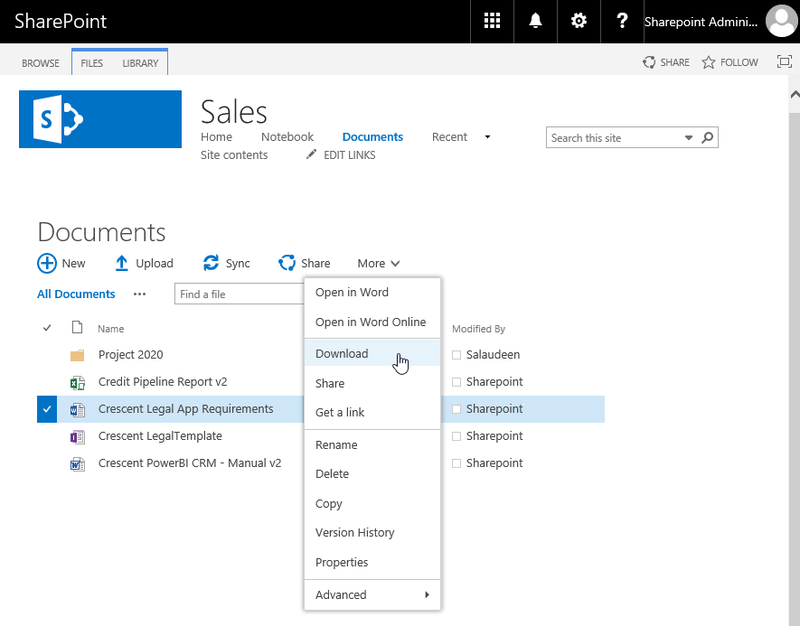 Now, How to download a file from SharePoint online using PowerShell? $FileRelativeURL = "/sites/Marketing/Shared Documents/Discloser Asia.docx"